"All Aboard!" The latest chapter in Conley Stone McAnally's village archaeology saga takes him on a quest of discovery along the great American rails. Boarding in Portland, Maine and cutting across the USA to Portland, Oregon, Conley meets an unusual cast of characters and a series of bizarre situations. 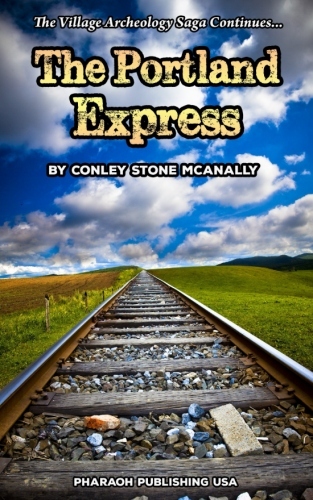 Join Conley along with a broken-hearted Navy seaman, a munchkin on his way to an Oz reunion, the world's best meat loaf chef and others as they encounter small town America, main street parades, Bigfoot hunters, and an escaped chimpanzee - all in all, what you'd expect from a train trip with the world's foremost village archaeologist. You can get it from Amazon or right here. 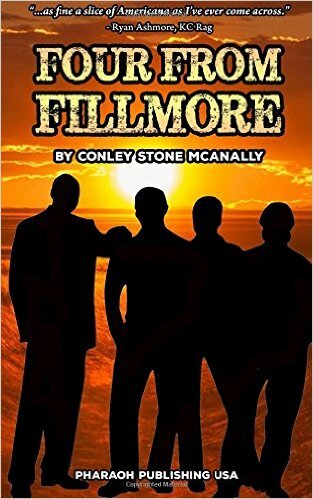 The latest from Conley Stone McAnally is now available! Meet Jimmy, Eugene, Mike and Sammy, lifelong friends. Follow them from their halcyon days at Millard Fillmore High School through college and beyond. Though they go separate ways, a bond holds these men together through life’s ups and downs. In the end, they find that no matter where life takes you, you can always go home. Bittersweet, nostalgic, and often humorous, Conley Stone McAnally’s latest takes us on a journey through four American lives. You can get it right here from Amazon, but if you don't have Prime, consider ordering it here. A chance kidnapping in Ireland sends young Hugh McShane to America, where he founds a family with a proud - if sometimes reluctant - military tradition. 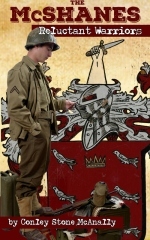 Follow generation after generation of McShanes, from before the American Revolution to beyond Desert Storm. Drawing on his own exploits and those of his family, humorist Conley McAnally tells the story of the American Soldier in a fresh, heartfelt, and personal way. You can order it right here, or from Amazon. But if you order it right here, we get more money. Now maybe I should publish something I wrote myself. 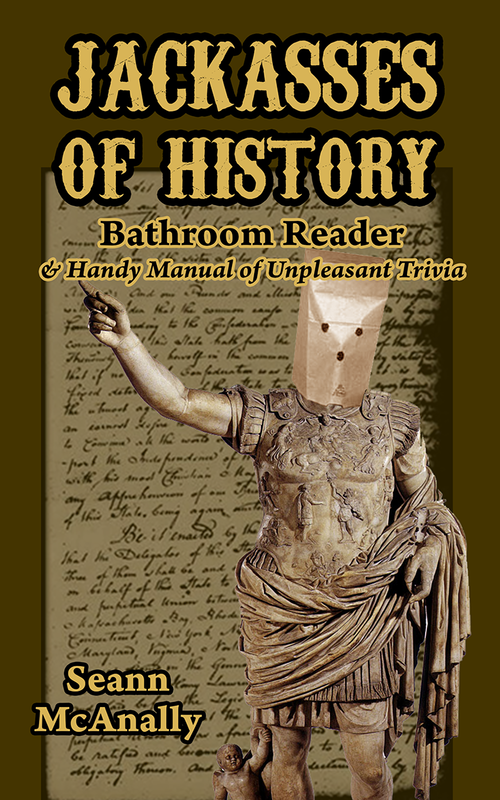 I give you the Jackasses of History Bathroom Reader & Handy Manual of Unpleasant Trivia. It's available on Amazon and right here. "Pretty far from the right or left of old Route 66, depending on if you are going to or coming from California, is a small pueblo called Pantano Wash." Thus begins another chronicle from acclaimed humorist Conley Stone McAnally. To paraphrase a great poet, there are strange things done in the desert sun"...or something like that. Why don't you come on in to Peggy's, have a wedge of pie - or a whole circle if you like - and hear all about it? This is Conley's seventh book with Pharaoh Publishing - it's available right here, and you can also find it on Amazon. Special thanks to Richard Andrews, Arizona's best editor, for invaluable help again on this one! Thrilling old-school adventure from J. Meade Falkner! England, 1757...Moonfleet. A village with a secret. An orphan lad with a dream. A band of wily smugglers. A legend of lost treasure. When young John Trenchard discovers a long-lost crypt, he finds cryptic Bible verses inserted into an old locket. This chance discovery leads to a quest for a legendary jewel, swashbuckling action, and an experience that will change John's life forever. 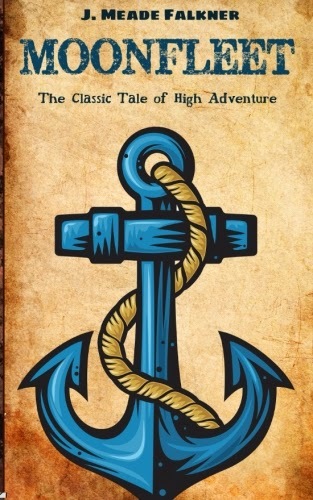 This classic of adventure fiction has long been in the public domain and is available for free in many ebook editions. This print version is for those who enjoy the feel of a physical book in their hands, and who love a rip-roaring adventure in the style of Robert Louis Stevenson and Talbot Mundy. Order it right here, or search for it on Amazon. Just a brief note to let you know what's happening at Pharaoh: Conley McAnally has finished a new book, Pantano Wash, which should be released mid-summer. In the meantime we are continuing our old-school pulp series with Moonfleet, a tale of English smugglers by J. Meade Falkner, originally published in 1898. Work also continues on a complete reformatting, with footnotes, of Talbot Mundy's "Tros of Samothrace" novels - we plan to include every single novel in a mammoth 1,000 page omnibus edition. Finally, we've started formatting text for Edmund Ironsides, an Elizabethan play that may or may not have been (but probably wasn't) written by a young Shakespeare. And as if that wasn't enough to keep a hobby publisher busy, the Nerd Glows On imprint is deep into work on the second edition of the Manifesto roleplaying game. All in all, it should be a productive summer! Check back for details as time marches on.